Zeta Phi Beta Sorority, Inc., Omicron Alpha Zeta Chapter would like to welcome and introduce to some our newest member, Tyseanna Walton. 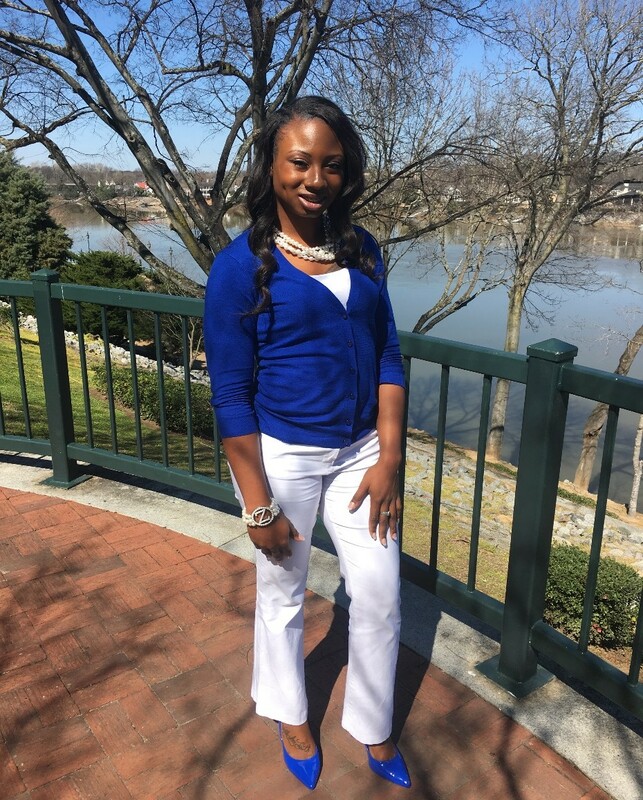 Soror Tyseanna Walton was born and raised in Columbus, GA.
She attended Carver High School of Columbus. Soror Walton joined the United States Army Reserve during her junior year of high school and is now a Veteran of the United States Army. She serves as a Wheeled Vehicle Mechanic and maintenance clerk in her unit. She has been serving her country for seven years and plans to make it a career. She has been deployed overseas to Afghanistan and has traveled to many different parts of the world. Soror Walton graduated high school ranked number 3 in the top 10 of her senior class. Soror Walton went on to further her education at the "Unsinkable" Albany State University, where she majored in Healthcare Management. During her four years of college, she was a member of the Lady Rams Track and Field Team, an active member of the Anointed ASU Gospel Choir, a member of High H.E.E.L.S. (Honorably Esteemed Educated Ladies of Success) mentoring group, Army ROTC Color Guard member and was inducted into the Delta Mu Delta Business Honor Society. In December of 2015, Soror Tyseanna Walton received her Bachelors of Science degree in Healthcare Management with a concentration in Healthcare Administration. She is currently pursuing her Associates Degree in Nursing at Darton State College in hopes of becoming a pediatrician and opening her own Children’s Hospital. Her hobbies include singing, playing basketball, spending time with family, and mentoring the youth. Since becoming a member of Zeta Phi Beta Sorority, Inc. she has went above the call of duty. She attended the 2016 Joint Leadership Conference. She has been appointed the Newsletter Editor for the chapter. The Omicron Alpha Zeta Chapter is excited to have Soror Walton as part of our family.